Blygold ensures 100% protection against corrosion of tube sheets and waterbox cladding with its unique products and applications. Tube sheets and water boxes are subject to severe corrosion due to the construction with dissimilar metals and corrosive water. 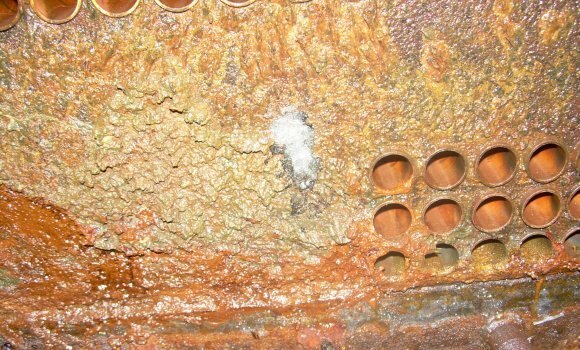 The pitting corrosion around the tubes rapidly create leakages. 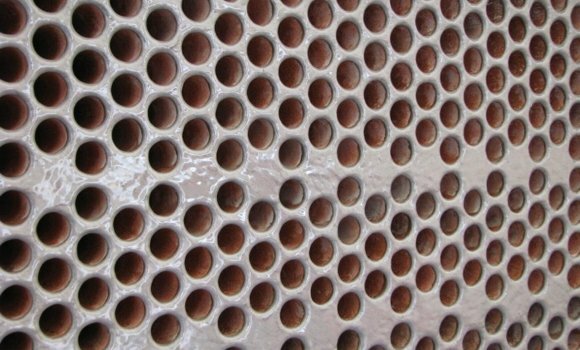 While corrosion of baffle plates and water boxes result in early replacements and severe capacity loss. Simply applying a coating will not prevent this due to the complexity of the construction. 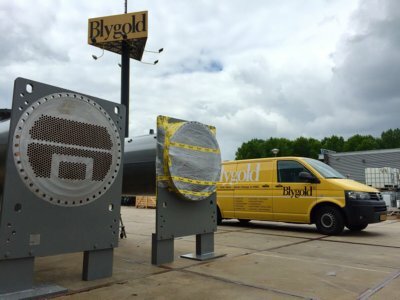 Therefore Blygold follows a special procedure to ensure the coating system will protect the valuable equipment for years to come. Blygold is the no. 1 choice in corrosion resistance. It protects tube sheets and water boxes from leakages and prevents early replacements. It seals off the equipment from the corrosive environment with a smooth and resistant coating. The special pre-treatment ensures perfect adhesion, smooth surfaces and prevents pressure drop. This guarantees extra protection. The dust free blasting and low VOC coating cleverly makes the treatment suitable for both factory and site application. Blygold has developed different ceramic products for use on water-cooled heat exchangers. These products can be used to protect new equipment or to refurbish and rejuvenate equipment that is already operational. The Blygold tube sheet coating formula consists of an intricate 8 step coating program. This can only be applied by an approved Blygold applicator who is trained to perform this procedure. It is not for sale in the open market. This safeguards the Blygold Global Quality Standard and ensures first-class quality products. Blygold works with a global network of the best trained and licensed applicators, creating the same high-level of quality applications all over the world. Our Global Quality Standard, thoroughly tested products and specialised unique application techniques offer the best corrosion protection measures available. If you are interested in becoming a Blygold Partner, please click here for more information.